Companies send a lot of emails each day, about all sorts of different topics. Some may share the latest blog update, some might announce huge discounts, etc. Of course, each of these emails has a different purpose, which is how we can differentiate between several types of emails. There is no a strict classification of emails. For example, some marketers choose to group emails under the label transactional and non-transactional, while some choose to go beyond, and have even more narrow groups, so they have a welcome email, a notification email, etc. The first major division we could highlight is based on the number of emails you send in the campaign, so we have one-to-many and one-to-one emails. The first group of emails is one-to-many emails, and it refers to the emails sent to the entire mailing list or a certain targeted group within that list. The main benefit of these emails is that they have a huge reach, thus the great potential to generate traffic, increase conversions, etc. Even though you reach out to a huge number of subscribers, you will still be designing a single email. This could also have a negative effect because your email might seem too general and it might lack personalization. Narrow downing the mailing list based on the different criteria could help you avoid this obstacle. A newsletter is one of the most popular types of emails. These generally contain information from your blog or website that you have recently published. They could also feature the news about your company, events, announcements, etc. By sending regular emails, you establish a connection with the readers, you bring them back to your website in the attempt to engage and convert them. 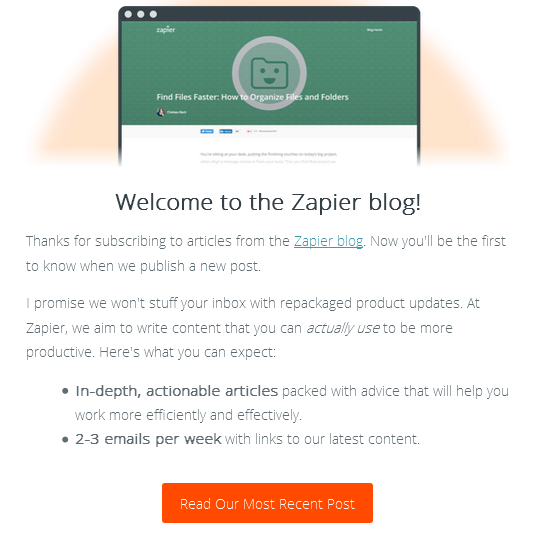 On one hand, a newsletter is a very useful type of email as it allows you to combine different types of content, such as new articles from the blog, the announcement of the upcoming event, etc. Basically, you share any news related to your company. While this can be considered a benefit, it can also be seen as a drawback, because due to this compilation of information, your call-to-action button may be less in the focus. A newsletter email is usually sent according to a certain schedule you have determined. 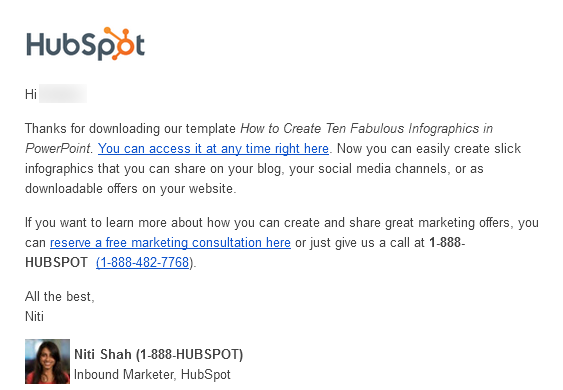 This type of email is similar to the newsletter, but the design is much simpler and concise. 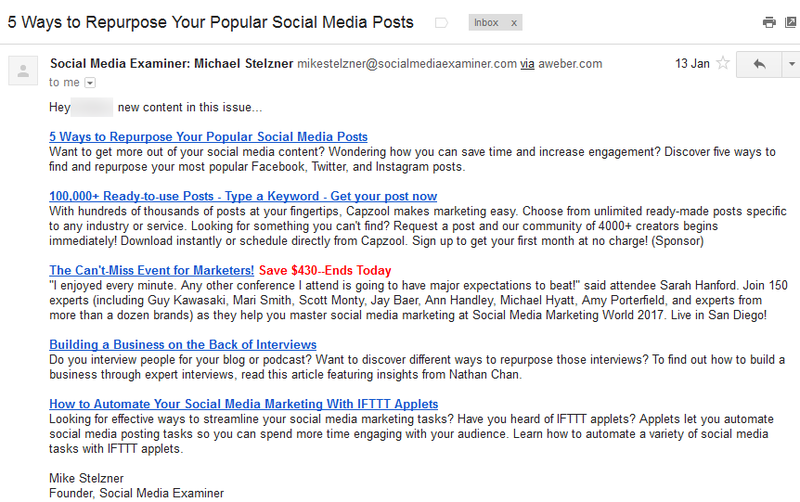 In a digest email, you share the most important pieces of content in a form of a short list with links. This way you help your subscribers find your content easily, which is especially helpful for blogs that publish a lot of content. The goal is the same as with the newsletter, you share information, increase brand awareness, and generate traffic, but the design is what differentiate these two. Digest emails are frequently automated so that the software simply picks up the scoop from your blog and send it to the subscribers. This is a perfect way to keep the subscribers informed if you have a lot of content published each day. Having a schedule for sending a digest email could be helpful to your subscribers, as they will know when to expect the new digest. As the name suggest, this email is dedicated to a certain offer. Instead of piling up content, like with the previous two types, here you focus on one piece of information only. It can be an announcement of an upcoming sale, an invitation for your latest conference, asking subscribers to fill out a survey, etc. The main benefit of a dedicated email is the ability to highlight a single event that is important to you. You will have a strong call-to-action button, which will have much more impact on your campaign. Unlike newsletters, dedicated emails are usually sent without any specific schedule. Like with paid ads in search engine marketing, email marketing also allows getting promotion through paid methods. 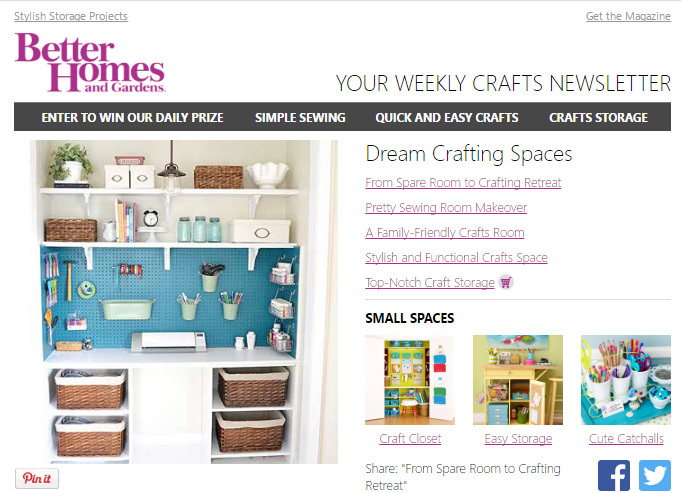 With a sponsorship email, you pay to be included in a newsletter of another website or company. This means a huge new lead potential, as you will be targeting an entirely new community. Of course, to make sure you are getting quality leads, you need to collaborate with companies that have the same target group as you. This kind of advertising will be relevant to the recipients and this way you will be able to get visitors who are genuinely interested in products and services you provide. This group of emails includes the types of emails that are sent to a single user. The focus of such email campaign is not a huge reach because you will not be contacting the entire community. On the contrary, you will be focused on one subscriber only. The goal of this approach is to establish a connection with the subscriber, strengthen the relationship, and increase the credibility of your brand. A large portion of one-to-one emails is automated. Obviously, businesses will find it difficult to handle a huge scope of emails each day, which is why this process is automated to a great extent. 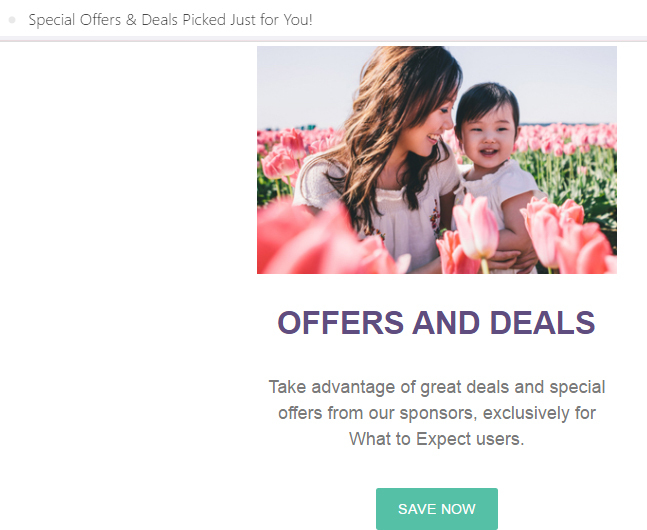 The main benefit of these emails is that you can focus on one user as you introduce the user to your brand and community. Usually, you will use the existing content to do so. When it comes to sharing the new content, this might not be the perfect way to go, as in that case, one-to-many type of an email would be a better choice. 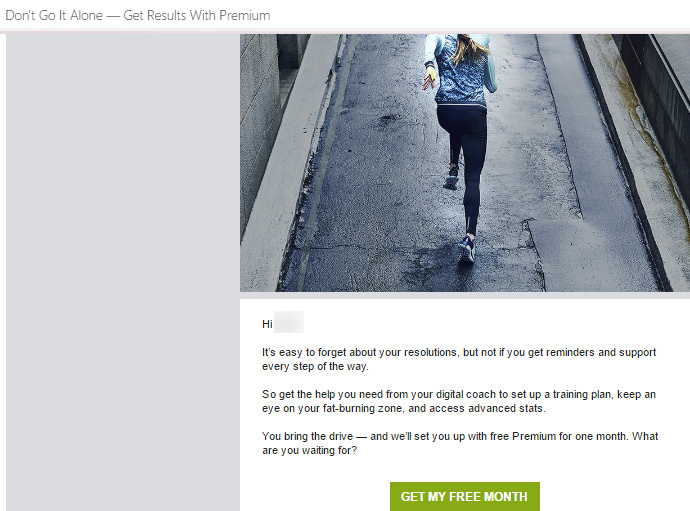 This is a type of an email that is supposed to establish a firm connection with your subscriber. After someone signs up for your newsletter, sending out lead nurture emails can help them discover more about your brand, obtain even more free resources, discover more great content on your blog, etc. Since lead nurture emails are usually automated, your company will benefit from them without any extra work once you have a new lead. Unlike other emails where you reach out to the entire list of subscribers or a certain targeted group, the reach of lead nurture email is much lower, because you only target new leads. However, the reach is not even the goal here. The idea is to deepen your relationship with the subscriber and you will accomplish that by focusing on their needs. Notification emails are also known as alerts and auto-responders. They notify the recipient each time something happens, and these actions are also known as triggers. The sender needs to establish some criteria for an outgoing message, something that will be a trigger for notification email to be sent. For example, a confirmation email about a successful online purchase, congratulations on a subscription, a welcome email, a birthday email, etc. and many other types of emails that are triggered by a specific action. Unlike the above email campaigns, where you reach out to your subscribers, social media gives you an option to reach users’ inboxes through the social media platform. For example, LinkedIn groups allow their administrators to send LinkedIn announcements, which will be sent to the members’ inboxes. The same goes for Google+. Although you do not really have access to user’s email, nor could you use a software to customize the email or track conversions, this could still be a good way to leverage the power of an email campaign. This approach opens up new opportunities to grow your business. You are able to reach the people who might not be completely familiar with your brand which is a great way to gain new leads and potential customers. The choice of the email type you are going to send depends on the goal you want to achieve. Each type has its distinctive features and it fulfills a certain purpose. Understanding the distinctions among them will help you make a better choice for the future campaigns.